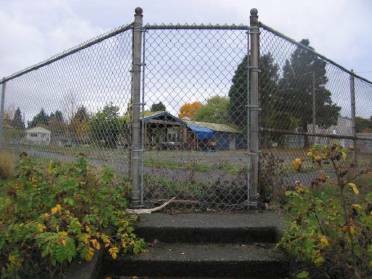 The Columbia City Business Assocation (CCBA) is now accepting artist proposals to lead the design, installation, and overall management of a project to beautify the north-facing fence at the northeast corner of the Columbia School property, located on the 3500 block of S. Edmunds St. 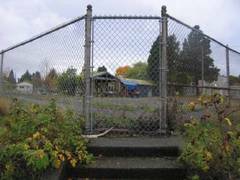 The CCBA's goal is to transform as much as 430 feet of the existing rusted chain-link fence into an attractive backdrop for the enjoyment of the school’s students, Columbia City Farmers Market customers, and pedestrians walking to light rail. Funds available for this project are $3,800. The CCBA is an organization of business owners, property owners, and residents dedicated to making Columbia City a "great place"
The winning proposal will be subject to final approval by the project Steering Committee and Seattle Public Schools. Artists living in Southeast Seattle are especially encouraged to propose. Email a cover letter and proposal to: moc.liamg|abcctnekekim#moc.liamg|abcctnekekim. Put "Columbia School Fence Beautification Proposal" in the subject line. Please include contact info in the body of your email. Proposals are due by 5pm on Monday, June 4, 2012.